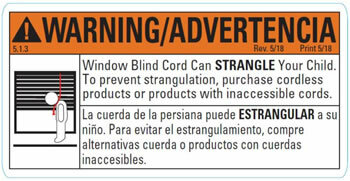 Blinds Blinds Blog Industry changes to stock corded products and what it means for you. What is the new industry standard? What is Blinds Chalet doing to comply with the new standard? This means Blinds Chalet will be replacing all stock corded window treatment products with stock cordless window treatment products. These changes will be made effective December 7th 2018. Due to this change, we will be marking our stock corded window treatment products as closeout items and reducing their cost to deplete our inventories. Products on our site with a closeout banner are a part of this change. We have also created a page on our site of just our closeout window treatment products. That can be found at https://www.blindschalet.com/closeout/. These industry changes will have some effect on our custom products as well. Our default cord lengths will now be set to operate at 1/3 the finished blind/shade height. We understand that some customers in the commercial and industrial markets need longer cord lengths. This is why customers will be given the option to change this cord length when building the order on our site. 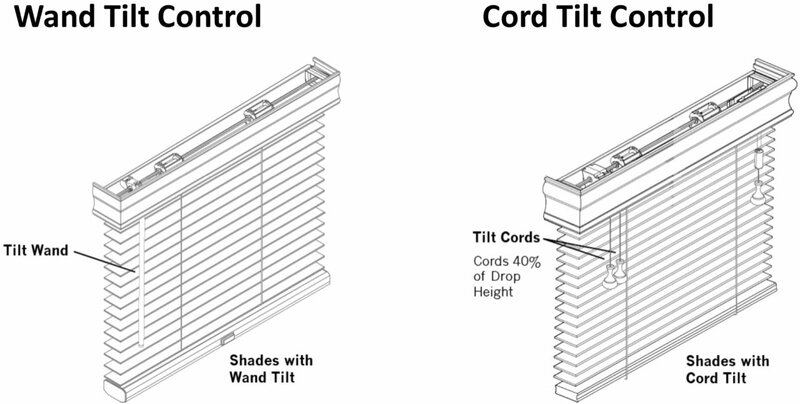 All of our custom blinds and shades will now come standard with a wand tilt instead of a cord tilt. Cord tilt will still be an available option when building out your order. There will also be new size limits due to these new cord lengths. New cord release devices will be used when customers choose a longer cord. These cord releases detach when a significant amount of weight is placed on them. Cord cleats will also come with all orders so cords can be wrapped and kept out a child’s reach. The warning labels and tags that come attached to each product we sell have been revised and updated to reflect these changes. Merchandising labels have also been updated. What products will this change effect? How does this affect you as the customer? Several of our core corded products like our quick ship faux wood blinds will be replaced by a cordless option. Through these changes we will be removing some less popular colors and replacing them with new more modern colors. This means that customers who have ordered for one or two rooms in their home might see that product replaced with a cordless option and potentially lose out on the color they chose. This is why we recommend customers take advantage of our closeout pricing and finish out the rooms in their homes. 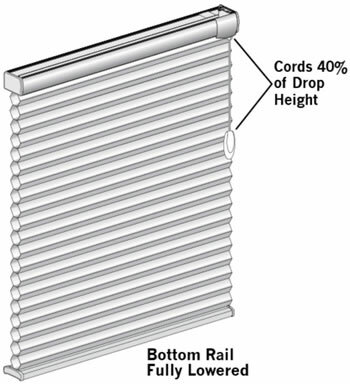 There will also be a slight price increase due to the use of cordless hardware in these blinds and shades. What is Blinds Chalet’s take on these changes? We are happy with the changes this new standard brings to our industry. Child safety and pet safety is a top priority for Blinds Chalet. This is why we have always offered free blind and shade retrofit kits on our website. There is no reason that a child or pet should be harmed from a blind or shade. We have also noticed a decrease in overall prices for cordless window treatments in the industry.